Well above the political fray, overlooking Washington, D.C., from Mount St. Alban, stands the National Cathedral, a traditional building that aspires to change the soul of a nation. The builders of this neo-Gothic cathedral laid the first stone in 1907. Eighty-three years later, in 1990, construction was completed. Officially named The Cathedral Church of St. Peter and St. Paul, The National Cathedral serves as a house of prayer for all people and as a spiritual home for our nation. Its mission is to inspire harmony, reconciliation among faiths, and compassion in the world. This hilltop historic district—with 57 acres of gardens, limestone ornaments, goldfish ponds, woody paths, emerald lawns, and the majestic Cathedral shaped like a cross—is my favorite place. It is the sixth largest cathedral in the world and the second largest in America (after St. John the Divine in New York City). The central tower is the highest point in Washington, standing 676 feet, higher even than the Washington Monument. 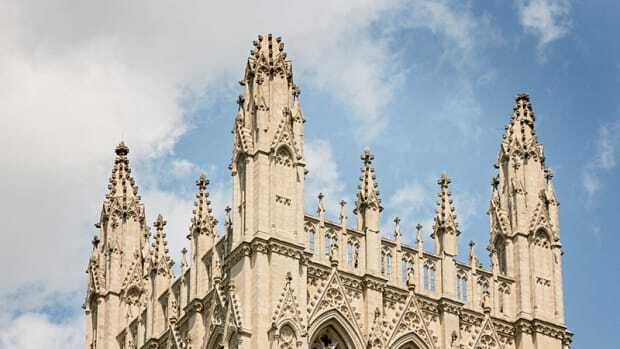 This Indiana-limestone building is adorned with 200 carved boss stones, 288 carved angels, 231 stained-glass windows, and 63 bells. 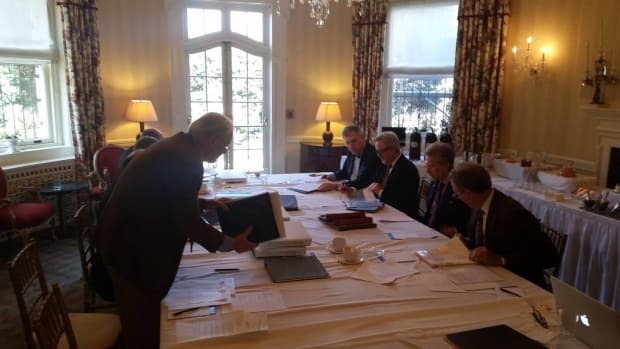 In design and construction planning, circa 1893, the architectural advisory board consisted of Charles McKim, Charles Moore, Daniel Burnham, Bernard Green, and Casper Charlie. Original architects were Dr. George Frederick Bodley, the leading Anglican Church architect of his day, and supervising architect Henry Vaughan. Both died before ground was broken, so Philip Hubert Frohman became the architect of record. The general contractor was George A. Fuller. The landscape architect was Frederick Law Olmsted Jr. The ribbed, vaulted height of the interior inspires awe. Pointed arches, flying buttresses, and large windows like jewelry humble even visiting kings. The Cathedral’s iconography is a planned system of images and symbols designed to teach Christian beliefs and our country’s values. Wrought iron, stone, and architectural woodcarvings adorn this sacred space. On August 23, 2011, an earthquake of 5.8 magnitude wreaked havoc on several historic buildings and monuments in our nation’s capital, including The National Cathedral. I was on an airplane that day, flying home into Washington National Airport when the pilot told us that the air-traffic control tower had shut down. “The control tower wobbled in an earthquake,” the pilot calmly intoned. “We can’t land.” I was reminded of something another pilot had told me once: “Better to be on the ground wishing you were in the air, than in the air wishing you were on the ground.” But the ground below was undulating. This earthquake did $34 million dollars’ worth of damage to The National Cathedral’s finials, walls, buttresses, stained glass, and ornaments. Luckily, the stones that fell from the top of the spires hit a roof below, and not the worshipers. 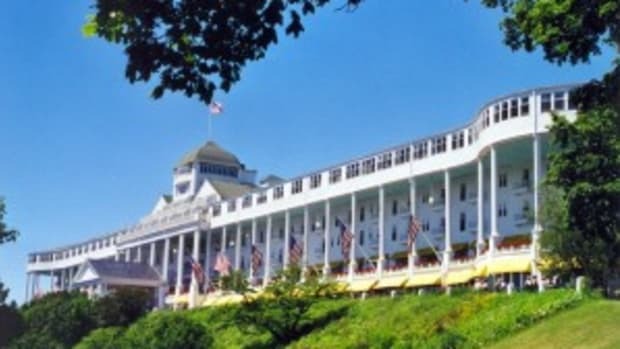 Thus began phase one of a major restoration, including the fundraising to do so. The Cathedral’s chief architect and facilities Manager, James W. Shepherd, gave a presentation at the recent Traditional Building Conference, which explained the restoration and earthquake repair process and procedures. Phase one of the project required repair planning, an existing conditions assessment, and documentation. Damage was discovered on both exterior and interior. The east end buttress was particularly compromised. 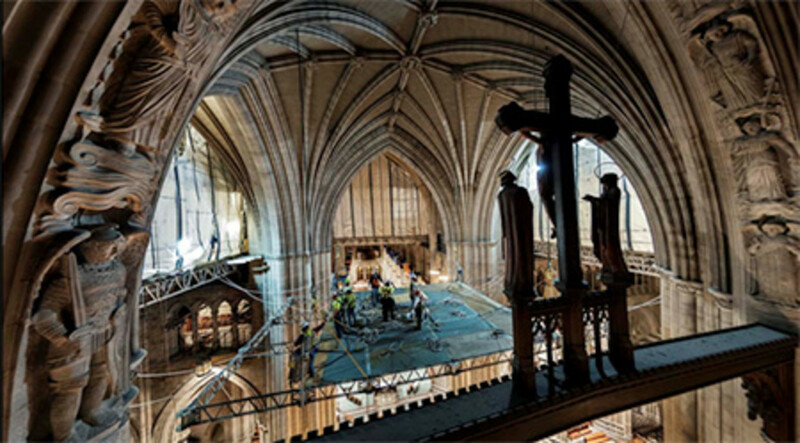 This meant core drilling and significant masonry repair from high on the massive scaffolding. 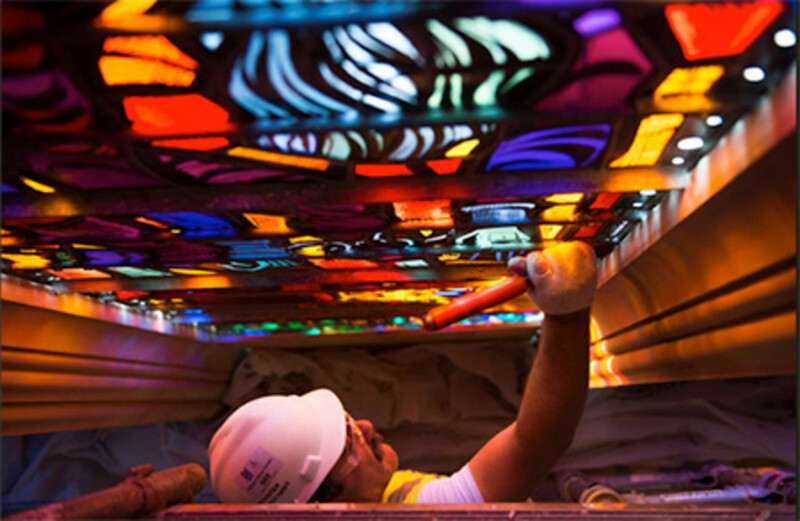 Phase two has tackled interior wall water damage, crack, and the restoration of the Te Deum stained-glass window; phase two will cost at least $22 million. The scaffolding would be daunting to a trapeze artist. Jim Shepherd took me up on that scaffold last spring. Confession: I got vertigo. 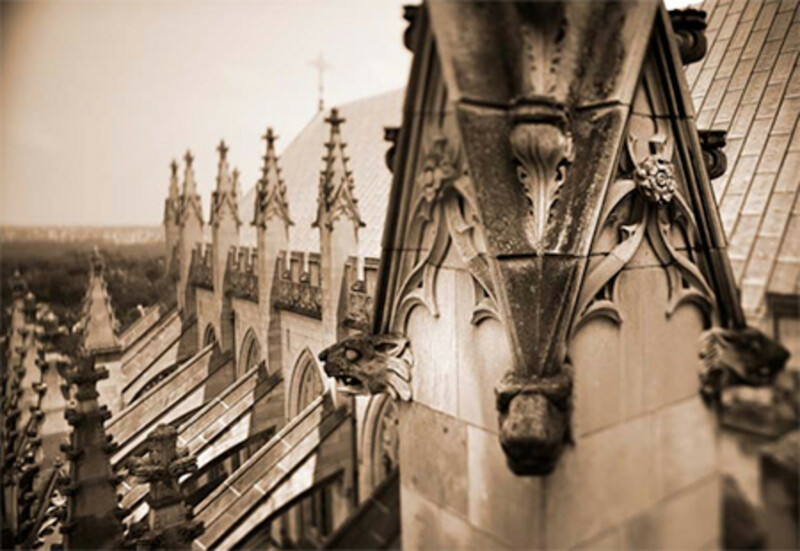 Up high, you get up close to some of my favorite features in the building, the gargoyles and grotesques. The Cathedral’s in-house stone carvers have been busy chiseling and fixing these, several of which twisted in the quake. One portrays Darth Vader. In the “civil rights porch,” several carved heads protrude from the columns. Each tells a story and commemorates a human-rights hero. 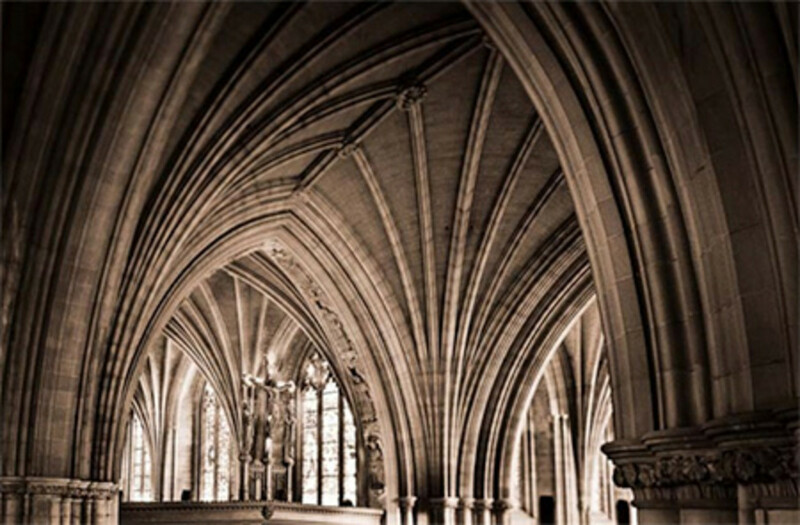 The craftsmanship displayed throughout The National Cathedral is exquisite. The building’s physical splendor is matched only by its impact on the spirit. 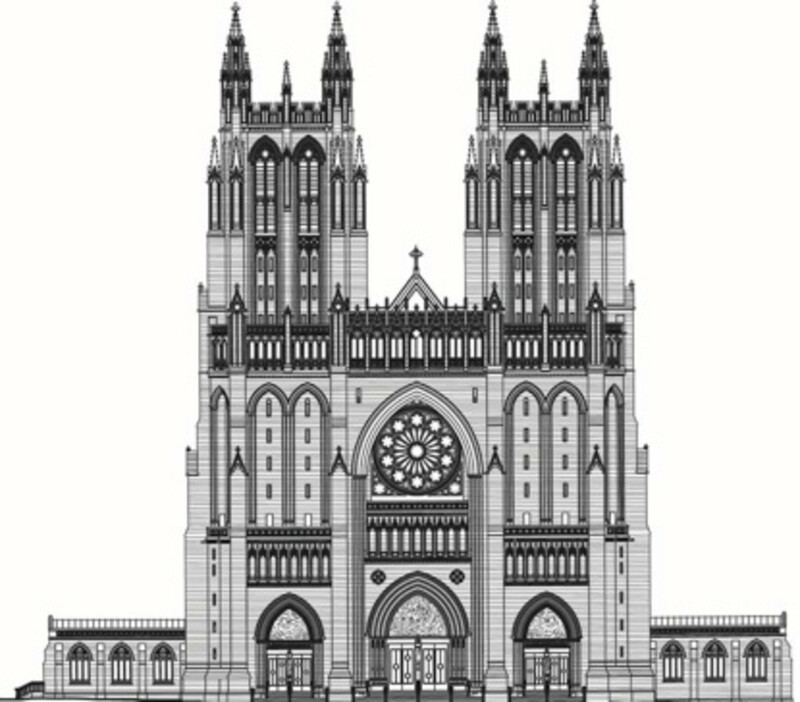 So, in the spirt of Christmas, I am linking us to The National Cathedral’s fundraising page and making a donation of my own.